Dating back to the pre-Colombian Mexico, the Queretaro region was then predominately occupied by the indigenous people of Tarascans who discovered the region of Jurica. Because of its brilliant thermal and crystal waters, the Tarascans people were inspired to declare the new territory Jurica, meaning "place of well-being." In the 16th century, during the Spanish colonization of the Americas, Holy Roman Emperor Carlos V appointed the estate of Jurica to Luís de Velasco, the second viceroy of New Spain. In 1551, Luís de Velasco presented the assets to Don Juan Sánchez de Alanis in recognition of his conquest of Queretaro. Shortly after acquiring the estate, Don Juan Sánchez de Alanis was inspired to build a grand hacienda, dedicating his life to creating an architectural masterpiece and employed over 500 people to achieve his vision. Years later, the assets were passed onto Mr. Carlos Urquiza, who utilized the property for agriculture and raising livestock. In 1960, Mr. Juan Manuel Torreslanda purchased the hacienda with plans of converting it into a luxury destination. Hacienda Jurica by Brisas made its grand opening in March 31, 1969 and has since thrived in providing authentic Mexican hospitality, distinguished service, and gracious accommodations and facilities without sacrificing its rich historic and architectural integrity. 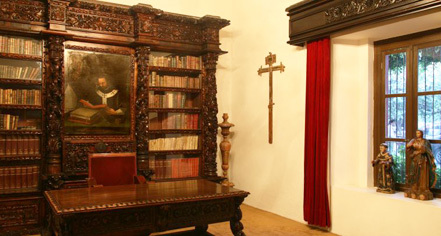 The hotel has been efficiently renovated to highlight its significant past, including the Presidential Suite living room, which was once the site dedicated to conduct Catholic mass by the village priest. Structural elements throughout the property have been re-purposed or displayed to celebrate the original hacienda, including La Fontana Ballroom, which was built by using materials of the original aqueduct, and the La Paloma Azul patio, where the arches were erected during the initial 16th century construction. 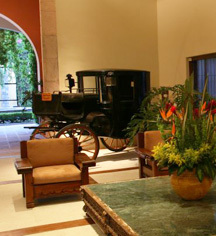 Hacienda Jurica, a member of Historic Hotels Worldwide since 2013, dates back to the 1551.